Evergrace was formed early 2001 in the Swedish town of Edsbyn, by six individuals on a singular mission - to create quality heavy metal. It didn't take long for them to find their own sound, however, they have been compared to bands such as Tad Morose, Nocturnal Rites, Morgana Lefay and Dream Evil. 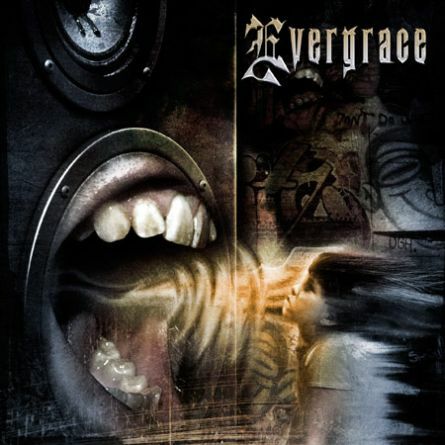 It also didn't take long for Evergrace to become known in the regional metal scene, and for two years played a long leg of shows all over Sweden. However, singer Johan Falk was not content. He felt the music of Evergrace needed improvement and a greater sense of depth. So late in 2003, he left Edsbyn to study in the music program at ITM in Huskvarna, Sweden. Wanting to keep the momentum already established, they managed to continue for two years, playing occasional shows, keeping the name Evergrace on the radar screen of the Scandinavian music scene. In early 2006, armed with Johan’s newly completed musical training, the improvement that comes with continued individual practice of the other members of the band, and the vigor that a break always provides, Evergrace renewed their commitment to their original vision with greater strength. Wasting no time, they set out to record a full-length album. Label-shopping began in conjunction with writing new material, and again providence struck, for it did not take long to strike a satisfactory deal with Sweden’s Ulterium Records, and a new partnership was formed. The self titled debut album was tracked in Studio EVG in Edsbyn, June-July 2006, with mixing work expertly handled by none other than Per Ryberg (Tad Morose, Morgana Lefay, Bloodbound etc.) in Studio Soundcreation. That final mix was then polished to a shine at Criteria Mastering by Thomas “Plec” Johansson. And for artwork, Evergrace, and Ulterium Records both agreed - it had to be created by mastermind Mattias Norén [Evergrey, Kamelot, Sabaton etc.] for ProgArt Media. Evergrace has created a great heavy metal album, with excellent songwriting, production, and musicianship. The album consists of ten top-quality songs, each with its own identity, and lyrical themes that are of importance and relevance. Lead by the incredible vocalist Johan Falk, Evergrace is in tour-planning, and will surely win many new fans, and make many new friends, this year, and in years to come.